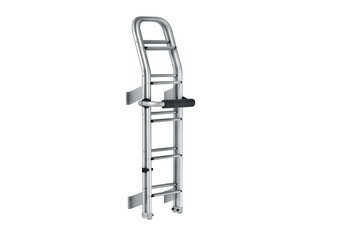 Thule motorhome ladders give easy access to the roof and its cargo. 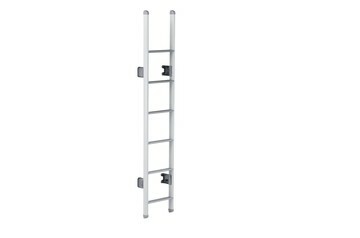 With different lengths but always great-looking, choose the RV ladder you need. 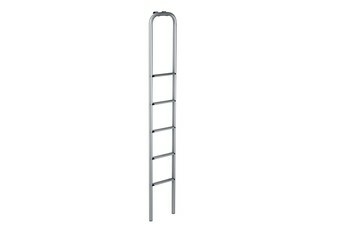 Foldable double ladder with 10 steps, equipped with round tubes. Ladder with 5 steps. For indoor use. Ladder with 6 steps and round arms. 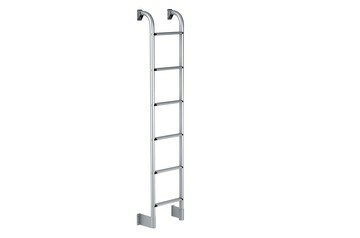 Foldable double ladder with 11 steps and oval arms. Ladder with 6 steps and oval arms. With Thule rear-mounted motorhome ladders, you get a choice that fits your motorhome and your style. Always great-looking, you choose the number of steps you need. You can also pick foldable options that reach all the way to the ground and make climbing even easier. Whichever Thule motorhome ladder you choose, you’ll be sure of an attractive, modern design that only uses high-quality materials. Our RV ladders are made from lightweight anodised aluminium and come with corrosion-proof fastening components to ensure a long lifetime of use.